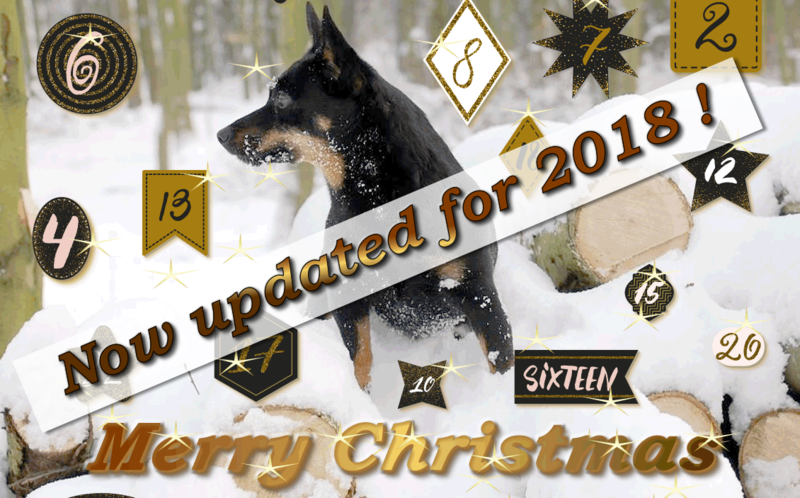 Following the success of last year's Lancashire Heeler Advent Calendar it has been updated with more pictures and a new competition, kindly provided by Debbie Felstead (Foveaux). The competition is a set of clues to Lancashire Heeler affixes. Make a note of each answer and send in your entries after trying your hand at each of them. The winner will be the one to answer the most questions correctly and in the event of a tie a tiebreaker question will be used as a decider. The winner will receive a £25 Amazon voucher. Remember - No peeking behind the numbers ahead of time!